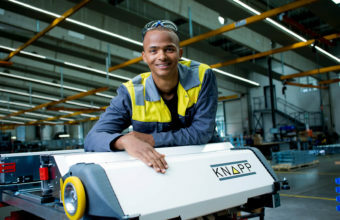 Apprentices – come to KNAPP! Welcome to our page dedicated to apprenticeships and training. Here you will find all the information you need on our apprenticeship programmes as well as opportunities for school pupils and students such as internships and thesis collaborations. Are you looking for an apprenticeship or are still unsure whether to choose school or an apprenticeship programme? Are you looking for a solid education programme in a solid company, which also enables you to earn your own money at the same time? Where will your path lead? Are you looking for an apprenticeship or are still unsure whether to choose school or an apprenticeship programme? Are you looking for a solid education programme in a solid company, which also enables you to earn your own money at the same time? Are you interested in machines and technical processes? Is teamplay important to you as well as being respected and taken seriously? Do you want to be a sought-after specialist once you have completed your education? Are you hard-working, highly-motivated and good with your hands? If your answer to these questions is “yes”, then an apprenticeship with us is the right choice for you. We are a federally recognized exceptional apprentice training company who has been training apprentices for over 25 years. There usually are around 60 apprentices training with us at any given time and we are delighted that a large number of them choose to stay with the company once they have completed their training. We have apprenticeship workshops at our Hart bei Graz and Leoben sites. Our apprentices of today are our specialists of tomorrow. For this very reason, we place grate value on offering varied and comprehensive apprenticeship programmes. In our apprenticeship workshop, you will complete practical work and receive ongoing assistance and guidance from our apprentice trainers. Whether you’re working on a solar-powered barbeque grill, infinity machine or hydraulic ram – the projects we assign to you will foster your technical understanding much more than conventional education programmes. As part of a team of fellow apprentices, you will look independently for creative solutions for your project. Work bench and school desk all in one? In our dual education programme you will receive training in a sought-after apprenticeship programme and complete the Higher Vocational Diploma. This opens the door to many career paths. Logistics is a sector of the future – you will have the opportunity to work with exciting technologies during your apprenticeship. We also collaborate with different educational institutions to make sure our apprenticeship programmes are always in line with the very latest developments. As a metalwork technician, you work with a wide variety of different metals and will become an expert in the mechanical construction of our logistics systems. As a mechatronics technician, your world revolves around mechanical, electrical and electronic machines and system parts that you will put together to form a mechatronic system. As an application developer, you devise software applications for computers and IT systems, software for specific sectors and browser applications. You also programme applications and set up databases. You can generally apply for an apprenticeship or to complete a taster placement at any time throughout the year. The apprenticeship programmes always begin in September. Click here for the checklist for your application. Important: Make sure you use our online application portal for your application. Tip: Show us what makes you unique and tell us why you find technology so fascinating in your application. What happens next: We will contact you as quickly as possible to organize a taster placement with us in the apprenticeship workshop. At the end of the taster placement you will complete an acceptance test and have an interview together with your parents. If all goes well you will start your apprenticeship at KNAPP in September. You will find tips for the interview on the back. During the taster placement, we are able to get to know each other better and you will get a taste of the work we do. After the acceptance test you will have an interview with us. But there’s absolutely no need to be nervous! Think of it as an opportunity for us to get to know you better and to find out whether KNAPP is the right place for you. 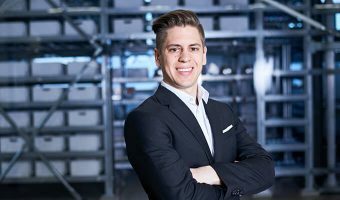 Here, our apprentice trainer Christoph Haidic gives you a tip on how to perform well in the interview. 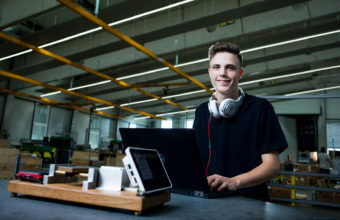 We look for open and curious young people to join our apprenticeship programmes who truly enjoy technology and love learning new things. That’s why it’s best to simply be yourself during the interview. Do you want to know whether an apprenticeship with us is right for you? Apply to complete a taster placement. A taster placement lasts 3–5 days. What happens next: We will get in touch when we have a suitable date for your taster placement. Are you looking to gain your first experience in the professional world? Are you searching for an exciting topic for your thesis? We are looking for young bright sparks and would be happy to foster your individual talents. You’re at least 16 years old and would like to take your first steps in the working world? Then apply to complete a summer internship with us during the summer months. Important: Please only apply via our online application portal and let us know in which month and in which division you would like to complete an internship with us. You can apply any time between the autumn and the end of January. There are currently no summer internship vacancies. I completed an internship in KNAPP’s Marketing department during the holidays, which gave me an insight into the workings of an international concern. After the internship, I was offered a part-time job. It gives a practical perspective on the theoretical aspects of my degree in Marketing and Sales. Are you looking to gain practical experience while completing your education, to meet interesting people and get an insight into the world of logistics? Important: Please only apply via our online application portal and let us know your ideal dates and in which division you would like to complete an internship with us. 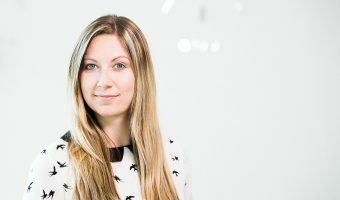 KNAPP offers me the flexibility and support I need to pursue my career alongside my degree at the Technical University of Graz, enabling me to gain valuable practical experience. Would you like to write your thesis in collaboration with a leading international technology company? We are constantly on the lookout for creative minds who want to get to grips with exciting topics. Completing your final thesis with us is based on a contract for work and services, and is paid. Important: If we have any suggestions for topics you can find them here. If you have an interesting topic in mind, please make sure you use our online application portal to submit your speculative application. There are currently no thesis vacancies. As a part-time student at the CAMPUS 02 University of Applied Sciences, I had the opportunity to write my master’s thesis at KNAPP on the topic “Concept on the Acquisition of New Customers for the Business Unit Fashion in the USA”. It was an intriguing and also educational time combining theory and practice.